Stupid Systems or Greedy Airlines? 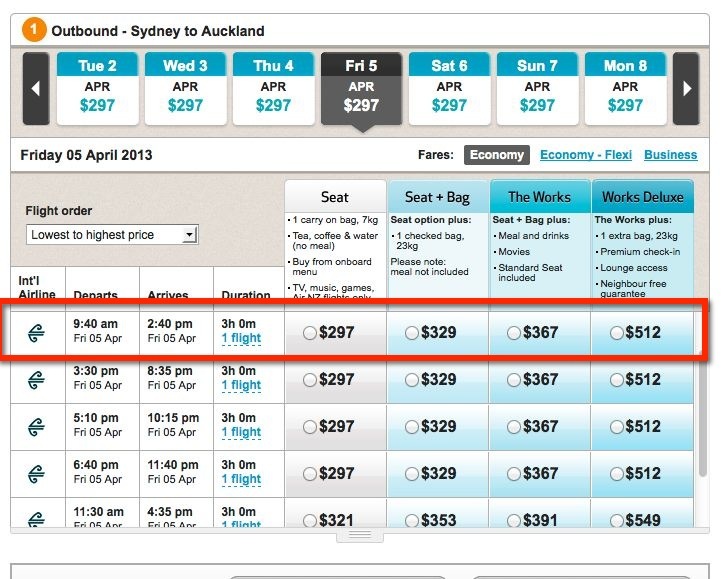 A few months ago I was looking to book a flight for my wife and I go to from Sydney to Auckland New Zealand while we are in the area for a conference. Being a “very” loyal United customer I went there first to check on flights. I was going to one big trip – into Sydney – the hop to Auckland then back to the US from Auckland. That was a problem so I tried to just add a simple leg to Auckland. 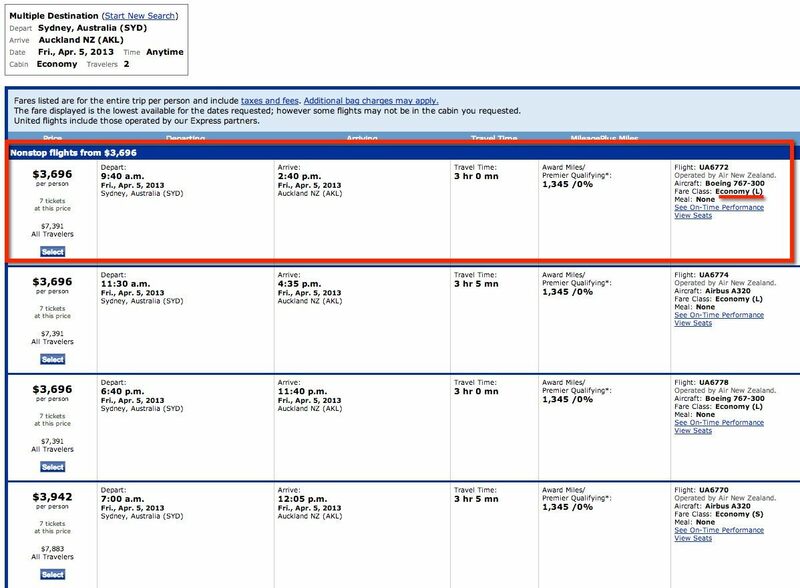 Now I have written about some crazy routs by United but this is a simple 3 hour flight in Economy that they thought a fair price for was over $3,000. Interestingly it would be on a code share partner Air New Zealand. So like any good price conscience shopper I went ti Air New Zealand to see what they would charge to fly the exact same seat on the exact same airplane and it was starting at less than 10% of what United wanted. At the 10% rate I would get a better seat and a meal unlike what I would get with United. You would think the systems would flag this type of thing but I guess if someone was willing to pay the yield on that route would be amazing. In my case I booked it with Air New Zealand. Previous PostTo many damn surveysNext PostCapitalism, Good Business or Greed?